Last Sunday (5 days before its release!) 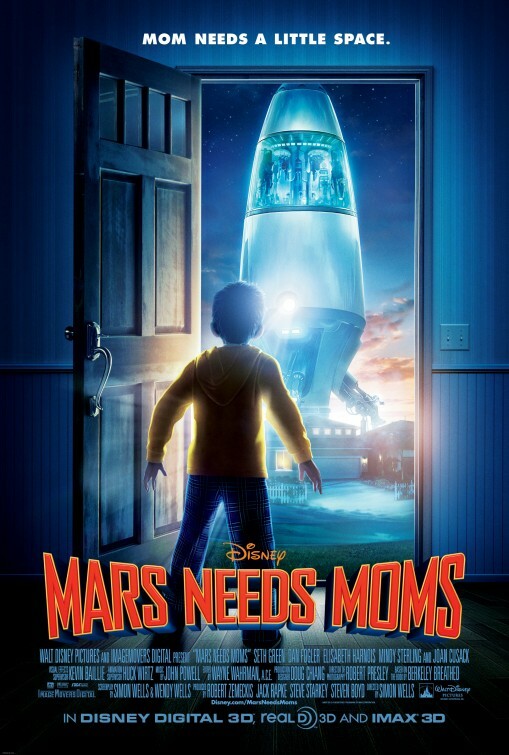 my daughter and I got the opportunity to go see an advance screening of Mars Needs Moms in 3D which will be in theaters on Friday, March 11, 2011! We both loved it! I'm pretty picky about which movies and TV shows I will let my kids watch and this is definitely one I would recommend to others and I will be buying this when it comes out on DVD! I enjoy watching movies in 3D, but I have to admit, 3D glasses are not comfortable to wear. They barley fit me (I have a small head), let alone my daughter. She only wore her's about half of the time. She didn't seem to mind that the movie was a little blurry without them. There should really be glasses made that are adjustable and will fit children. It was really great for my daughter and I to have some one-on-one, mommy-daughter time together! We don't get that very often! Thanks to Kailani @ An Island Life for hooking us up with the Free tickets!